Planning for reorders begins in the design phase. Its important to think about what fabrics or embellishments you want to incorporate into your design to be sure your supplies will be available next year when you reorder. For example, many specialty fabrics are discontinued after a year, which means you may have to use a substitute fabric for a reorder that won't match exactly. To avoid this, ask your costume manufacturer what fabrics they regularly carry, or consider purchasing extra yardage for stock if you really love your specially fabric selection! Teams often avoid white for costumes that will be reused from year to year. White can get dingy over time, easily picking up makeup, sweat, or other stains. 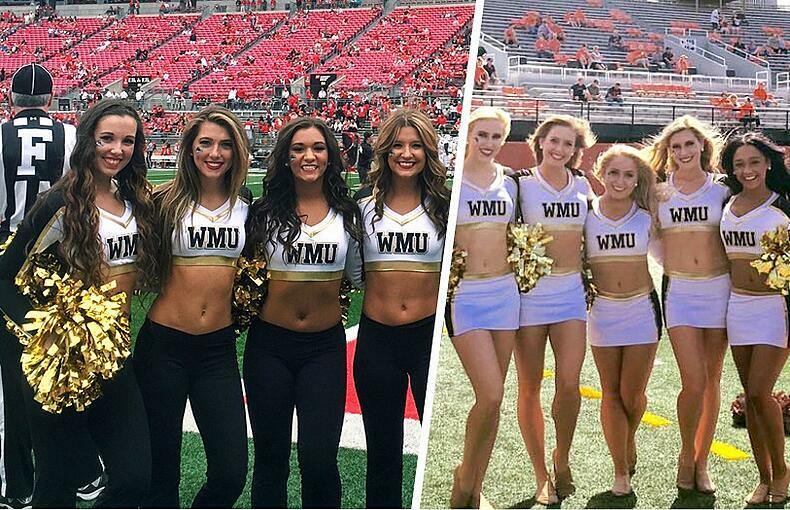 If you really love a white look, consider the possibility that you may have to reorder a whole set of new costumes each year if you want an extra crisp white! Okay, so now it's time to reorder. Start by hosting a fitting night for the team. Have veterans bring in their uniforms for the rookies to try on. This helps the new teammates determine what sizes they need. Sometimes veterans need new sizes too. Getting everything together at once also helps the coach access the condition of the older uniforms. Are there some that need repairs? It’s possible that some styles might need to be retired if they are too old or damaged. If the team is unable to get together ahead of time, taking measurements is the next best thing. Most costume companies will have a sizing guide available on their website. Typically, bust, waist, hips and torso girth are the most important measurements. Check out some typical sizing instructions here! 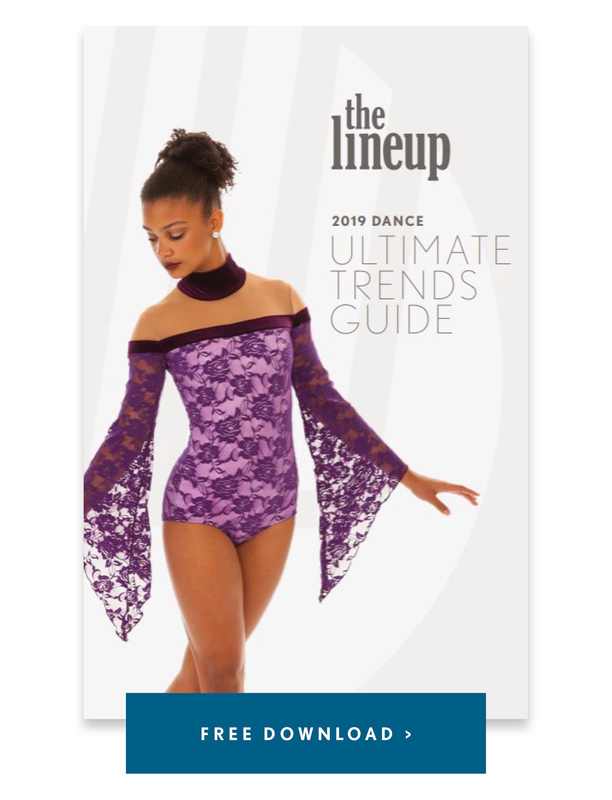 Know that the price of your costume may have increased depending on if your dance costume company has established a price increase since your last order. An increase cost of materials and labor may have an effect on the price you pay. Also, the group discounts you received with your first order may not apply to your re-order. Discounts are based on the quantity that you order, so if you're reordering 1-4 extra costumes to match your original order, you will not get the same discount as an order of 5 or more costumes. This is because the set-up costs are the same on an order of 2 as they are in an order of 20, making smaller order more expensive to create than larger orders. Create a spreadsheet to compile all of your information - this excel template is a good starting point! Write out each member’s names and the size they need next to their name. If the team is reordering multiple items it’s good to make a new column for each item. Excel spread sheets, pen and paper all work well. The most important thing to remember is to be consistent and compile all the details in one place! It’s best to call your costume company as soon as you know you'll need to reorder your uniforms. Most schools place their orders in July and August with deliveries in September and October. Production schedules fill up very fast during this busy time of year. It can take 6-12 weeks for many costume companies to produce your order, and that time frame is after your order has been placed and a down payment has been sent. So save yourself the stress and get your costumes scheduled early! Confirming fabric dye lots - will the new roll of fabric match the old? Determining sewing style - have any sewing techniques changed? Accurate logo placement - do logo placement records match the original order? Consistent rhinestone placement - where were the stones placed? Sending back a sample garment can help keep the costumes looking consistent from year to year! What's the preferred method of payment? What's the typical time frame for approving a purchase order? What information is required from the team in order to obtain a purchase order? It’s not abnormal for a purchase order to take up to 4 weeks to be approved and sent to your costume company. So plan ahead - you would hate for all your planning and organization be for nothing if the purchase order causes delays! Follow these tips and you’re sure to have a stress free, on time, high quality reorder. Lastly, remember to have fun and enjoy your new season and new members!